Add a contemporary look and feel to your living area with the 3401 Sofa Table. 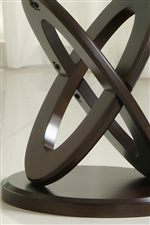 Featuring an intricate wood crisscross base, it features a beautiful glass top that lends a formal look to its design. A deep brown finish on the woodwork emanates warm tones and makes it easy to match with existing decor. 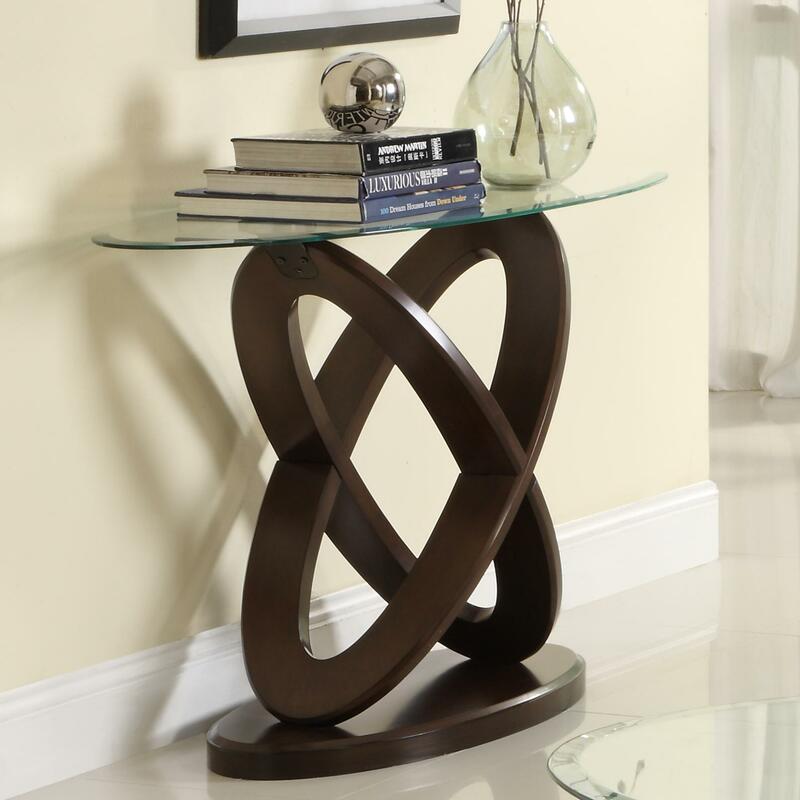 Place home accents, flowers, decorations and more with this stylish, modern sofa table. Pair with the matching cocktail and end table for occasional grouping. The 3401W Oval Sofa Table with Glass Top by Homelegance at Michael's Furniture Warehouse in the San Fernando & Los Angeles area. Product availability may vary. Contact us for the most current availability on this product. The 3401W collection is a great option if you are looking for Contemporary furniture in the San Fernando & Los Angeles area. Browse other items in the 3401W collection from Michael's Furniture Warehouse in the San Fernando & Los Angeles area.